Just copy the source code(s) below and paste it in your Custombox module in your profile or group page. 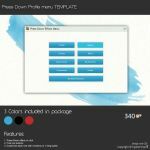 Want professional Profile Menu buttons? Want to buy my premium resources? Check my gallery folder: Premium Content. Want to customize your profile page? I am a free resource provider for the deviantART community. 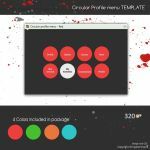 If you like my free customization resources you can donate some points to me as an appreciation or support. so when I put this on my custombox is has a little box with an arrow inside the button? is there a way to get rid of this? Put buttons into a journal without core membership. No no. I mean the look of the button. I know they only work on here. But I can't figure out how to set them all up. With the right picture to the correct link that connects to my social media account. Like I can't find any Youtube buttons or Instagram buttons to use. The buttons can only display as listed, or so I think. I have all the images I wanna make into buttons now. But I dont understand how to put the codes in them right. Its kinda confusing. www.seeklogo.net/wp-content/up… I'm trying to get the URL so I can get the picture to pop up on my page. But idk how to find it. Is there any good way to make all the buttons the same length, even when the text inside is not? Their wonkiness in length is driving me a little nuts. Is it possible to add an image in a button? How do I change the button's link into a specific place? By placing the url in the "URL" section! How do i center the buttons? u 3 u awesome! And thank you : D! I forgot to favorite this. I'm a filthy sinner. I would like to use these buttons but they are not working for this journal skin. Can anything be done to fix this? I've seen people showing how to use CSS styling but I have no idea where to insert the CSS codes. For example, I want to create a simple button in custom box. I know how to use HTML codes but CSS, where do I put them?